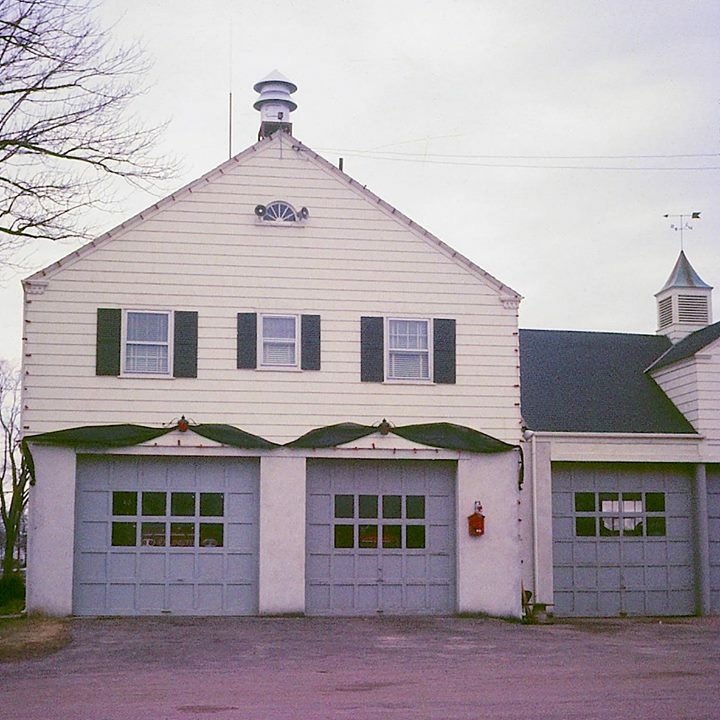 Tolland County Mutual Aid Fire Service remembers Ellington Volunteer Fire Department Firefighter John G. Turner. 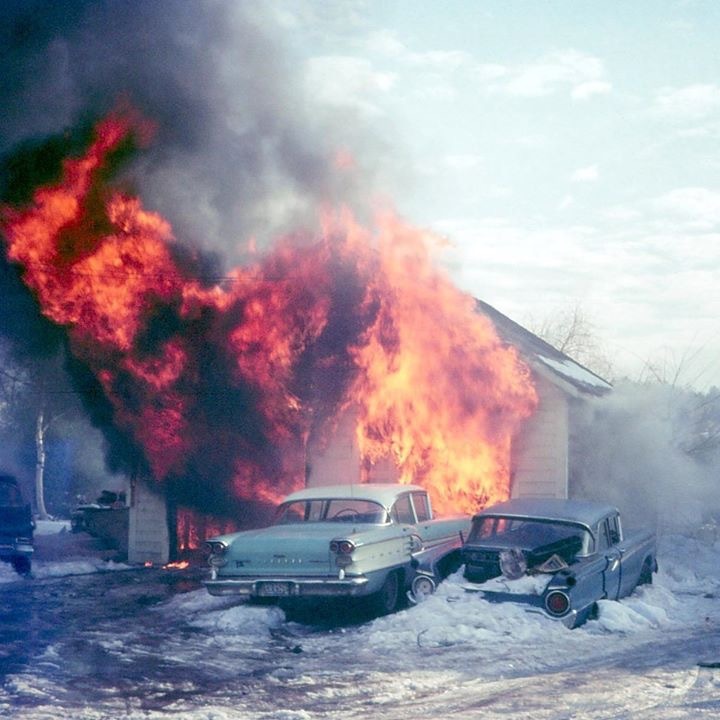 On January 21, 1968, The Ellington Volunteer Fire Department (CT) lost one of their own in the Line of Duty during a structure fire. Firefighter Turner went into cardiac arrest while attempting to suppress the fire. Firefighter Turner is remembered for serving as the EVFD’s Drillmaster for several years. He played a key in role in organizing and running the Tolland County Firefighters Muster. 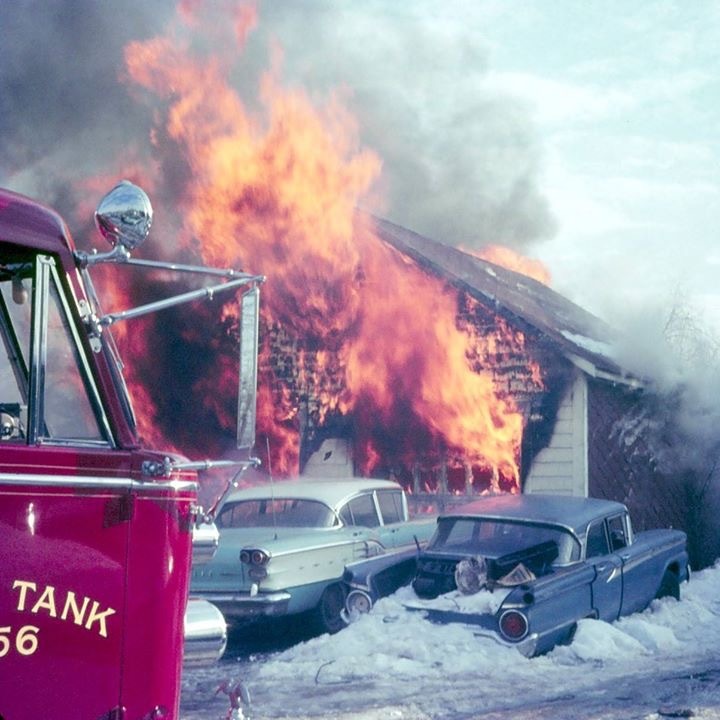 He was an active member for the Fire Department Truck Committee which was instrumental in purchasing the departments first Engine Tank Pumper in 1966. He also served as the Chairperson of the first Firefighters parade that was held in conjunction with their annual carnival. This parade is a great annual tradition that continues today. 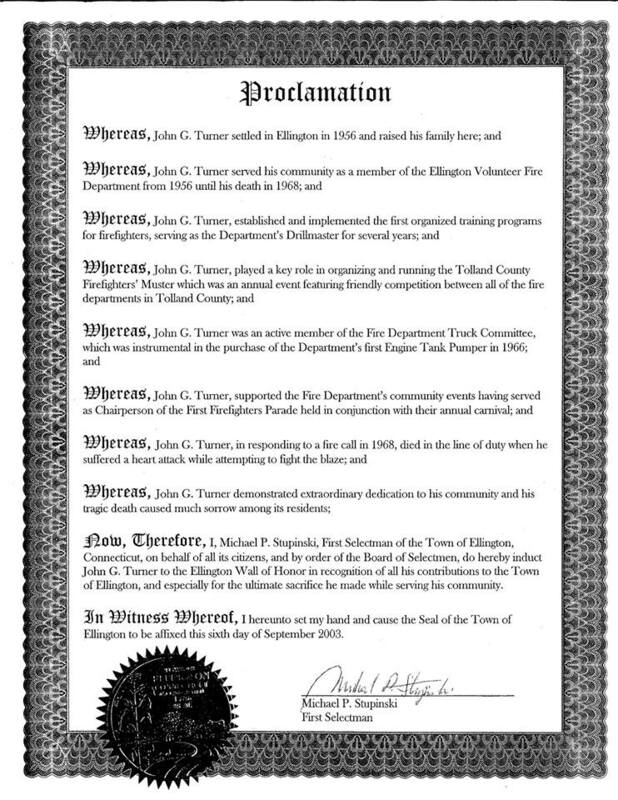 In 2003, the Town of Ellington, CT inducted Firefighter Turner to the Ellington Wall of Honor in recognition of all of his contributions to the Town, and especially for the ultimate sacrifice he made while serving his community. 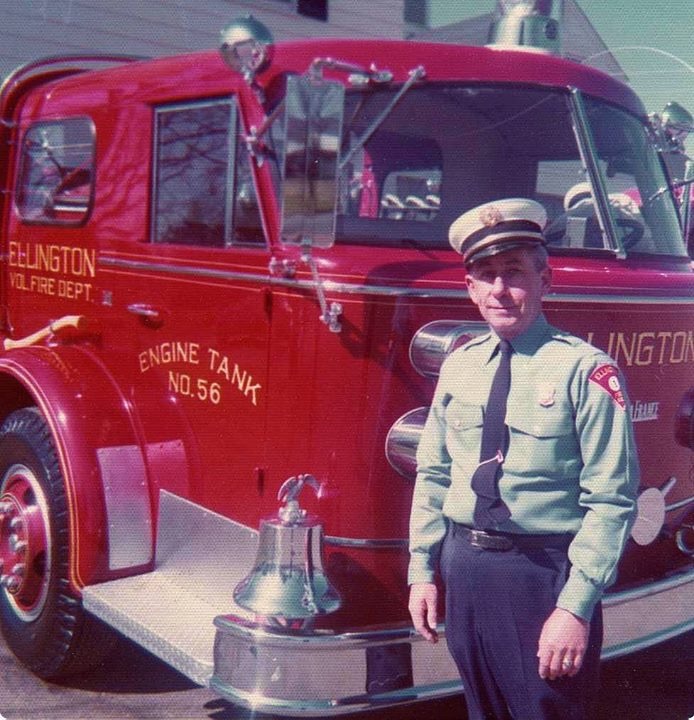 In 1970, Firefighter Turner's son, Jack, followed in his father’s footsteps by becoming a member of the Ellington Volunteer Fire Department. Jack served many years as a line officer serving 10 years as the Chief of Department. Today, Jack continues to volunteer for the Fire Department. He also serves as a Selectman for the Town of Ellington and the Finance Director of Tolland County Mutual Aid, Station TN. Photos area courtesy of John W. Turner, John G. Turner's son. The 2003 proclamation is courtesy of the Town of Ellington website.